As I said, this is not an unusual recipe. The recipe I use is the one I learned to make in Junior High…it’s most likely from Betty Crocker. (I can’t imagine it’s too different from my grandmother’s recipe.) Over the years I have made two small changes to it. Around the time I started cooking/baking professionally, I switched to unsalted butter for all of my baking (and cooking). I’m sure the original recipe used salted butter. If you like, you can increase the salt to a half teaspoon to account for this change, but I never have. I like the pure, butter-y, nutty flavor as it is. The second change came about one time when I was feeling particularly lazy and instead of chopping the pecans by hand, I threw them into the food processor with all of the flour and processed until the nuts were very finely chopped—much more finely than if I had chopped them by hand. (Without the presence of the flour you would never be able to process them so fine without turning them into an oily mess.) The resulting cookies were especially moist and tender. I have prepared them this way ever since. 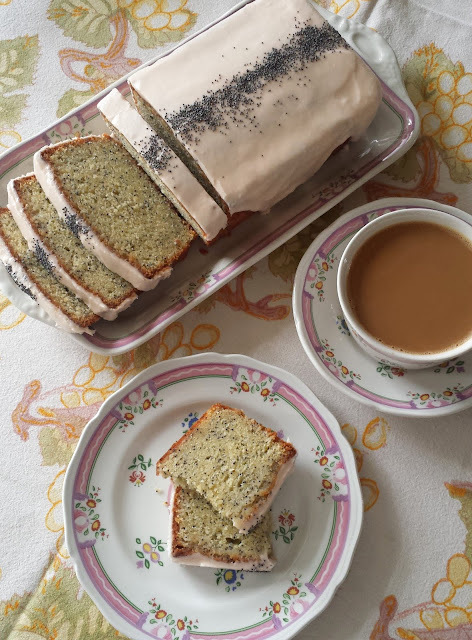 The Tea Cakes I made were just the thing…perfectly satisfying my craving for something familiar and special, all at the same time. New recipes are great, but sometimes an old friend is even better. If you are feeling a bit nostalgic—and I find that Fall, with the return of school and the coming of the holidays, brings on those kinds of feelings—take a minute to prepare a recipe that is old and well loved. It just might be the perfect momentary antidote to a too busy schedule, a gray afternoon, or a bad day at work. And if you have never made a version of these delicious little pecan cookies, you should give this recipe a try. It’s fast, easy…and I think there’s none better. Briefly cream the butter and sugar. Beat in the vanilla. Set aside. Place the flour and pecans in a food processor and process until the pecans are finely ground—some will have disappeared into the flour, but there should still be small, discernible pieces of pecans. Add to the butter mixture with the salt. Stir to form a soft dough. Mold into 1-inch balls and bake on an ungreased or parchment-lined baking sheet at 400° until set—about 8 to 10 minutes. The cookies will have lost their wet look, will have puffed slightly and cracked. The bottoms of the cookies will be golden brown. Remove from the oven and cool for one minute on the baking sheet. Transfer the cookies to a wire rack and let cool for five minutes. 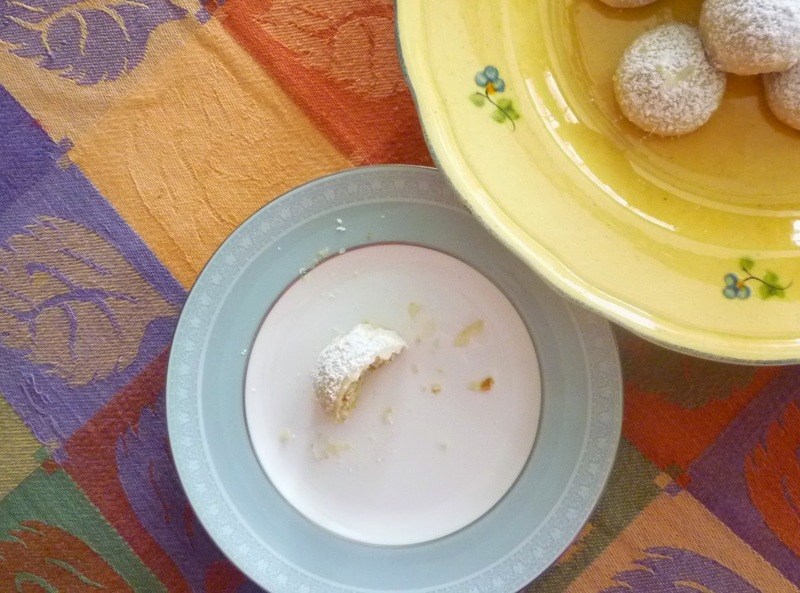 While the cookies are still warm (not hot), toss in powdered sugar (be gentle, they break). If you like, use a sieve to dredge the cookies lightly with a final coating of powdered sugar. Store air tight. Note: The cookies should still be slightly warm when tossed in the powdered sugar so that the sugar will adhere…but they shouldn’t be hot. If the cookies are too hot, the sugar will melt to a frosting-like coating.